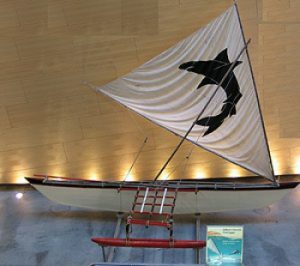 This canoe comes from the Gilbert Islands, now called Kiribati, a nation of coral atolls scattered over the Micronesian area of the Pacific Ocean. It features an extra log called the outrigger, attached for stability. Crew sit on the outrigger, balancing the vessel as she heels under the pressure of wind on the sail. The boat-building tradition is passed down through generations and Ueaua, builder of this outrigger, was taught the techniques by his grandfather. The shape and trim of the vessel rely on the skill of the builder, and extreme measures were used to hide the secrets of this canoe’s construction. Outrigger racing is an important Gilbert Islands tradition. 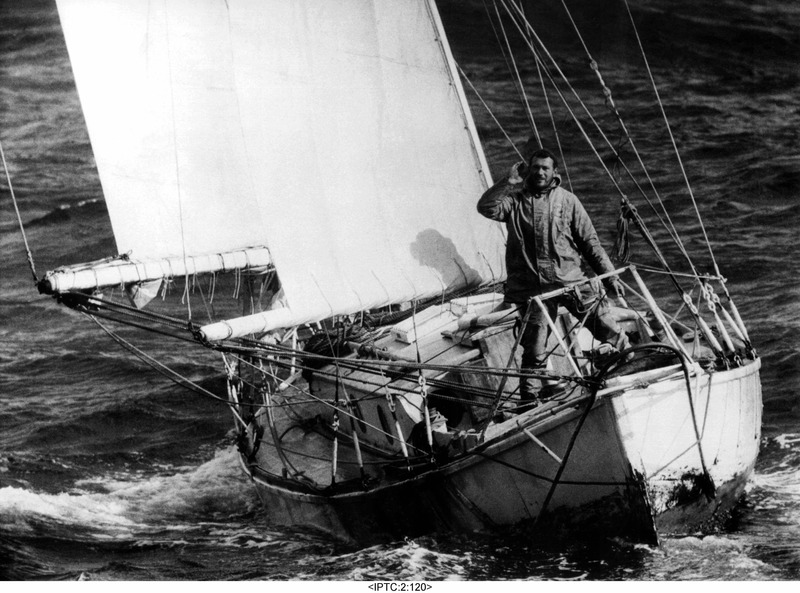 Very unusually, when changing tack, the mast and sail are repositioned from one end of the canoe to the other, reversing the hulls direction by exchanging bow for stern each time. This boat is currently on display in the Flotilla gallery in the Museum.